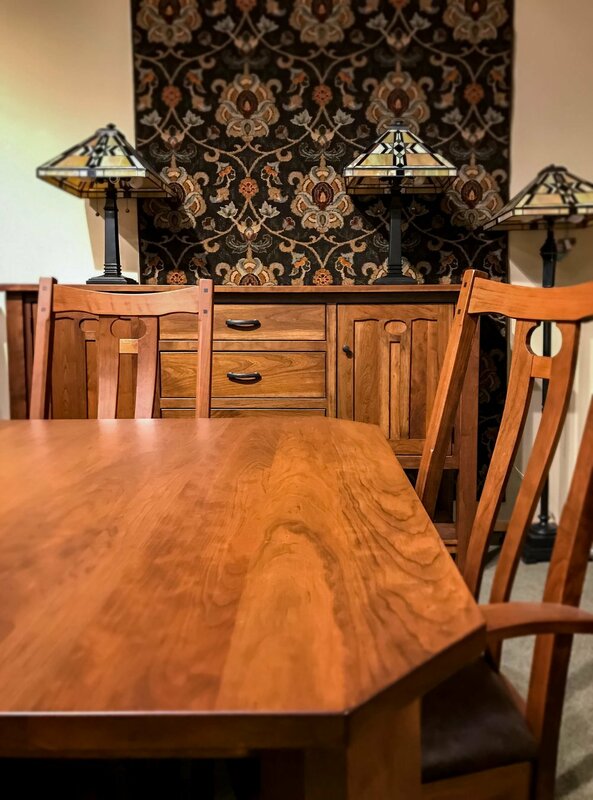 Our Horizon dining set is Mission furniture with a lighter touch. Heavy, straight lines have been softened, giving way to a natural more organic flow. 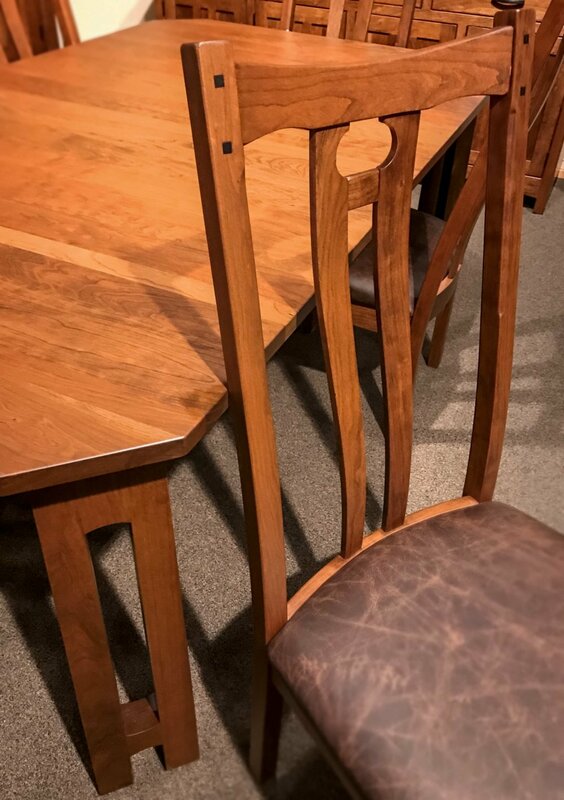 Any unnecessary mass has been removed from our Horizon chairs leaving only the components essential to a strong, very comfortable solid wood dining chair. To maximize support using the least amount of material we have sculpted the Horizon chair's back to match the curves across both the horizontal and vertical axes of your upper body. Sitting in this chair provides an unrestricted and airy feeling while at the same time fully supporting your spine and shoulders. 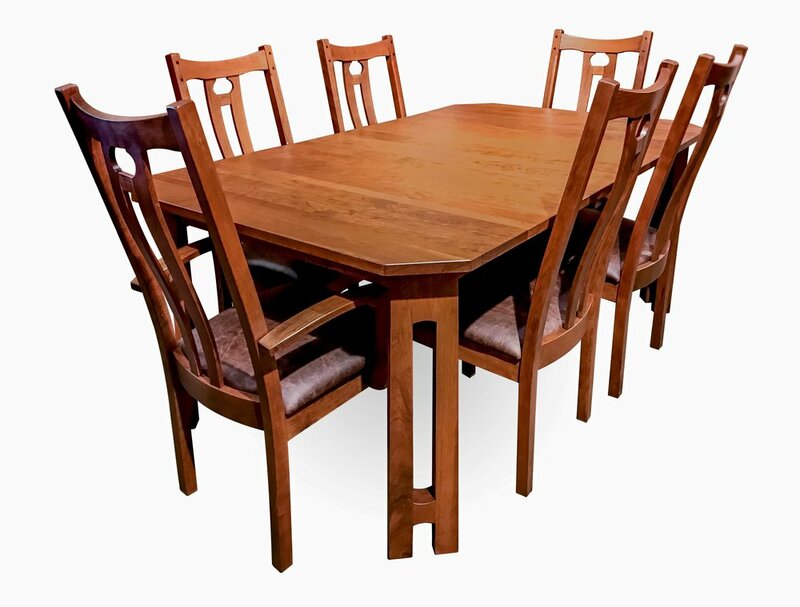 The open yet architectural nature of the Horizon dining set provides the perfect setting for you to comfortably enjoy company and develop strong roots with both friends and family. 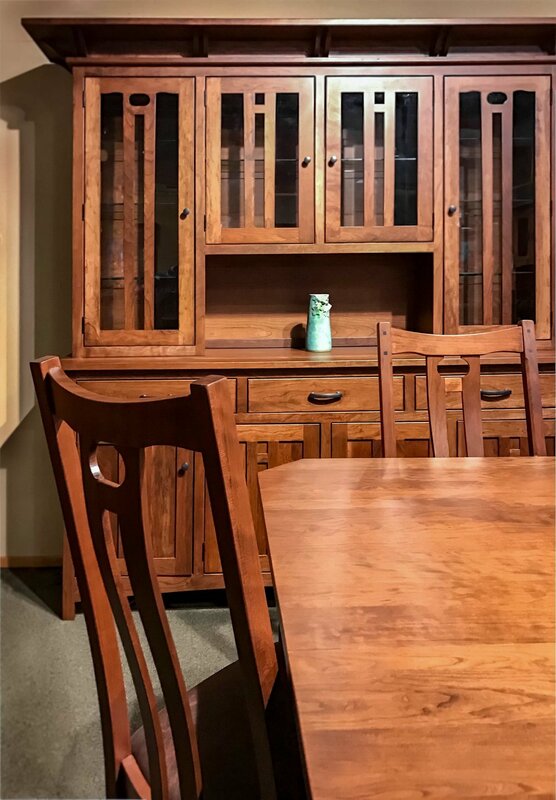 We love solid cherry dining sets and our Horizon group, as you can see, wears cherry particularly well!